We strive to offer our Premium users unique and powerful tools that takes the website experience to another level. New features are added almost on a monthly basis. Below is a full list of features included in the EP Premium package. Are our records out of date? Are the stats incorrect or missing? With the Update Profile feature we will review your update request within 24 hours and update accordingly. 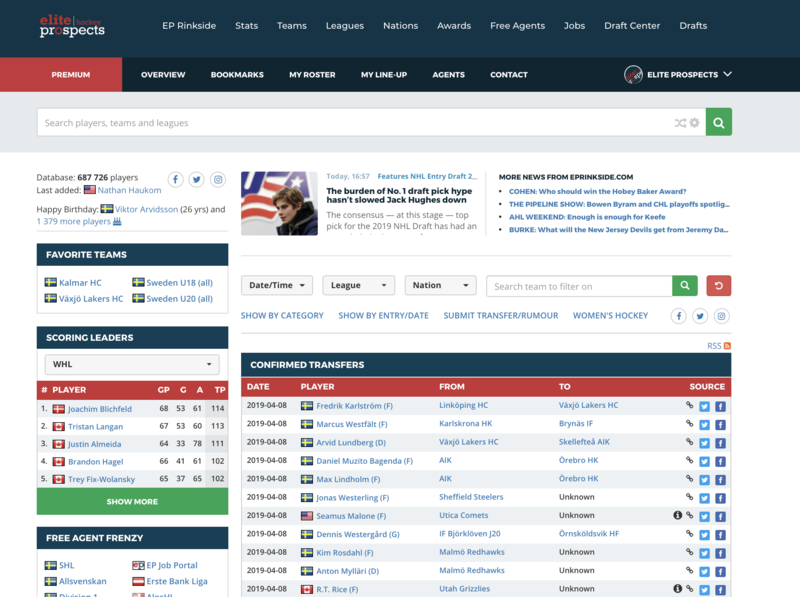 Follow your favourite players in the top leagues with our game logs. 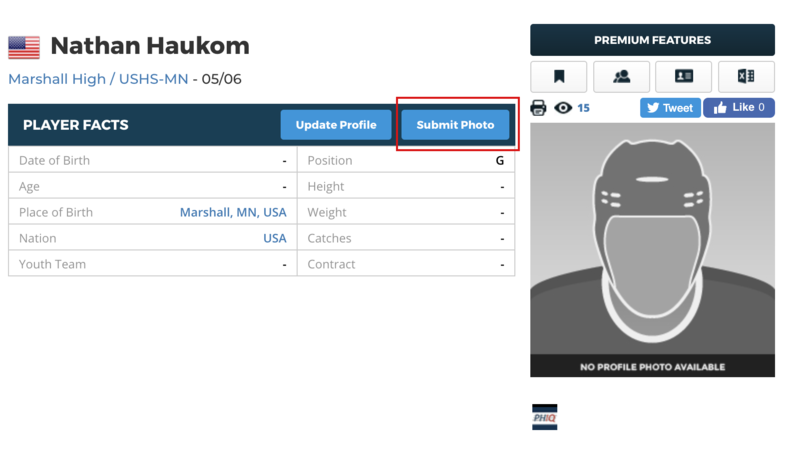 Get access to stats, shots, ice-time and more on game per game basis. 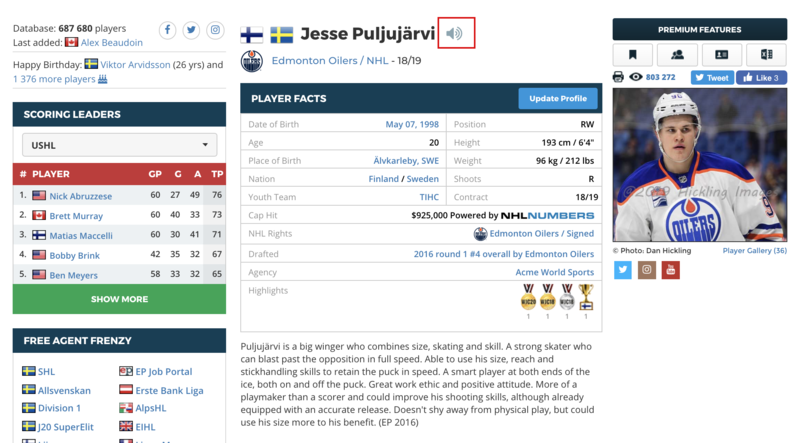 We have several thousand player pronounciations recorded by native speakers. Impress your friends or make sure you do not butcher the names during a broadcast. Have any questions, ideas or any other type of concerns? With an EP Premium account we will get back to you within 24 hours and assist you the best way we can. 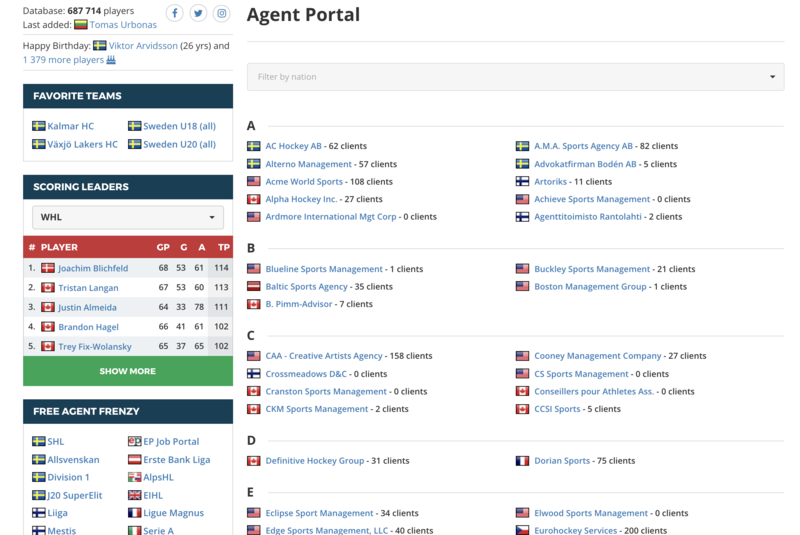 Our unique agency records allows you to see by which agency a player is signed and how to get in touch with the agents in question. A valuable tool for teams or journalists. 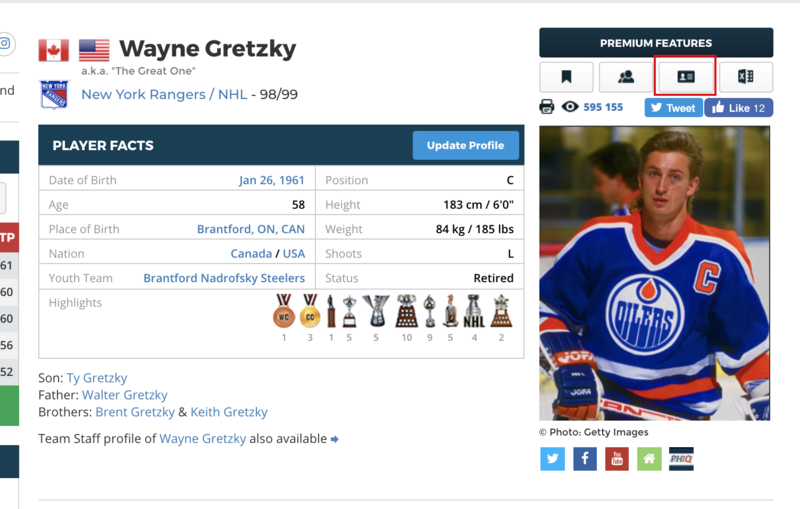 Create your own custom team roster with your favourite players. 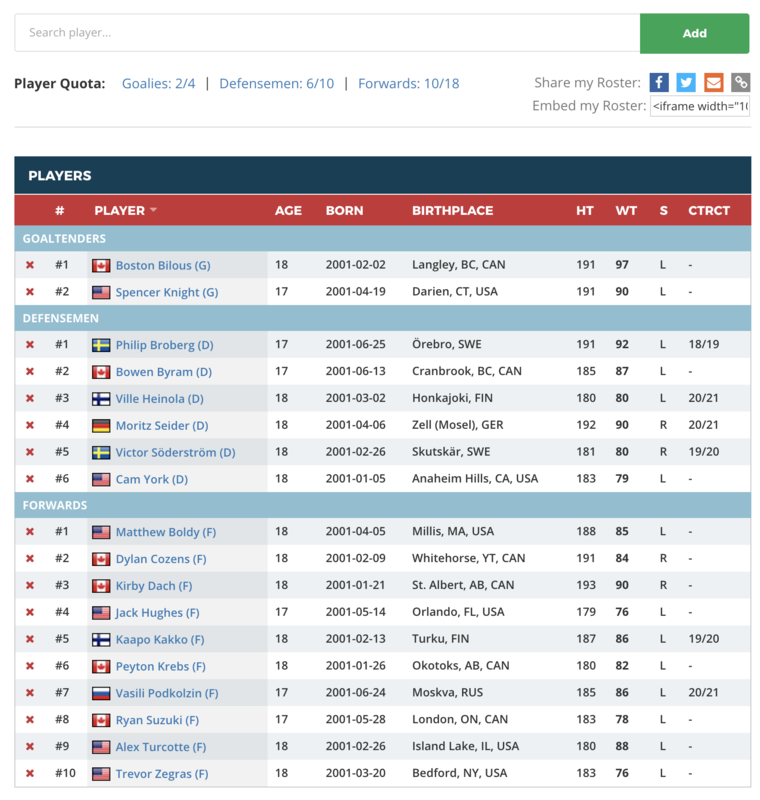 You are free to share the roster online or embed it on your your website or blog. 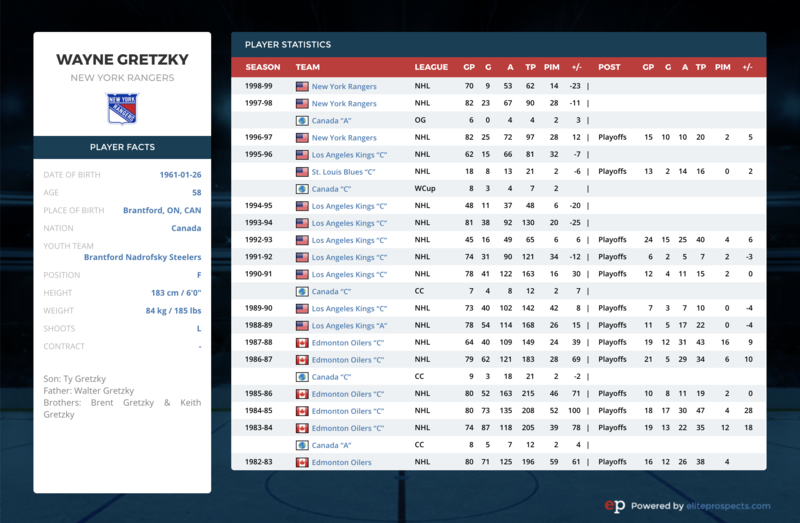 Create your own custom line-ups consisting of your favourite players. Keep them for yourself or share and embed them online. 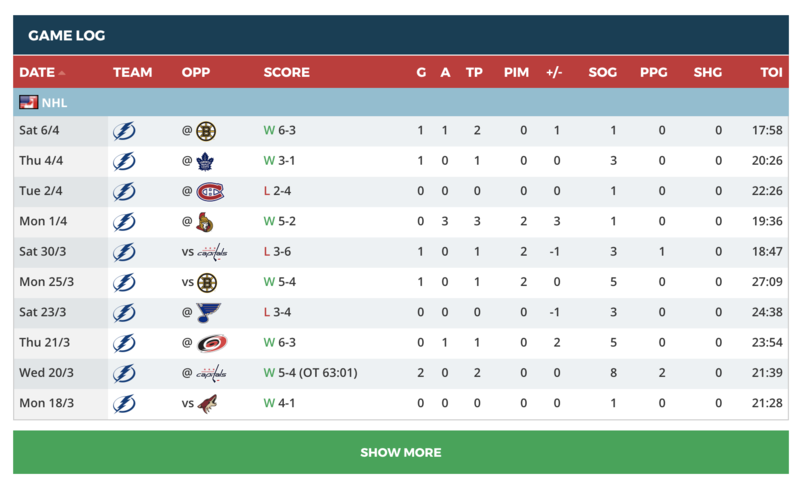 Why not use the feature as a way to present the line-ups before a game? 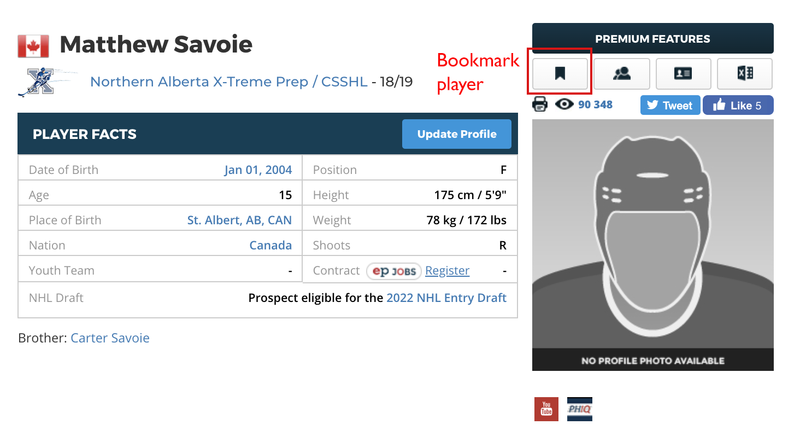 With the help of the EP player profile and stats you can generate a graphical stats card, which you may share online. 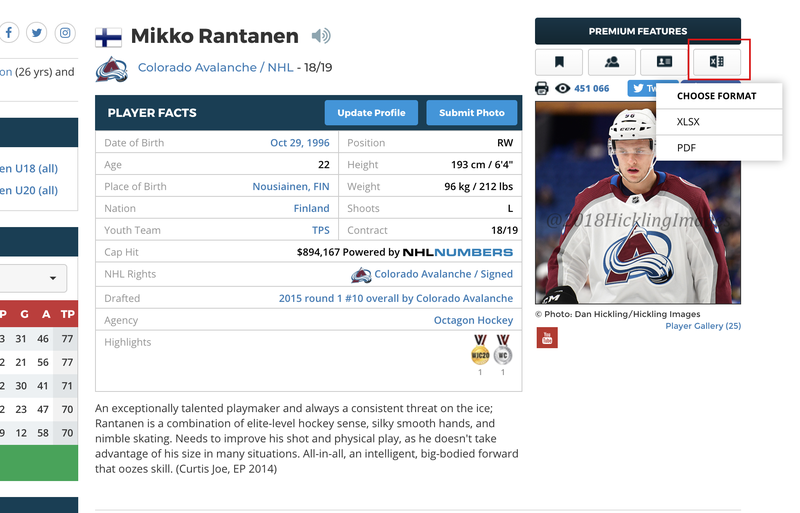 Want to add some interesting trivia to a player profile? 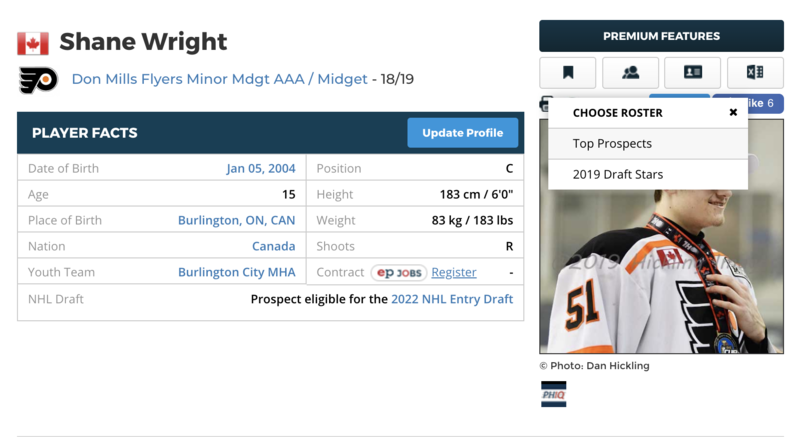 Maybe post your own scouting report? 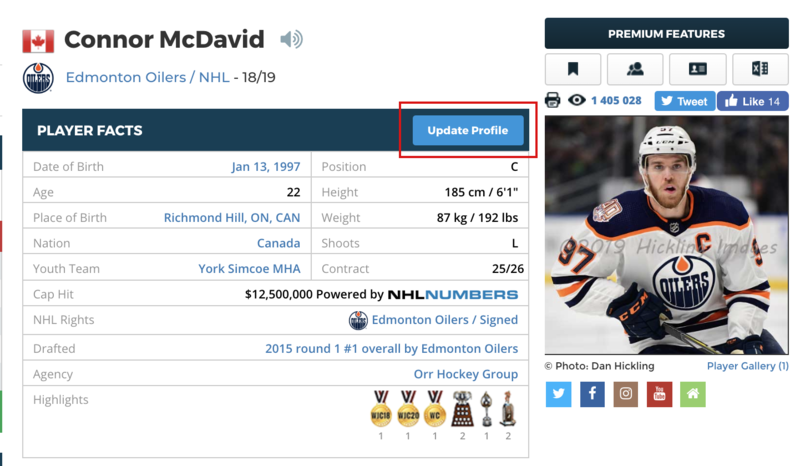 Using this feature you can publish comments under your name at the bottom of each player profile. 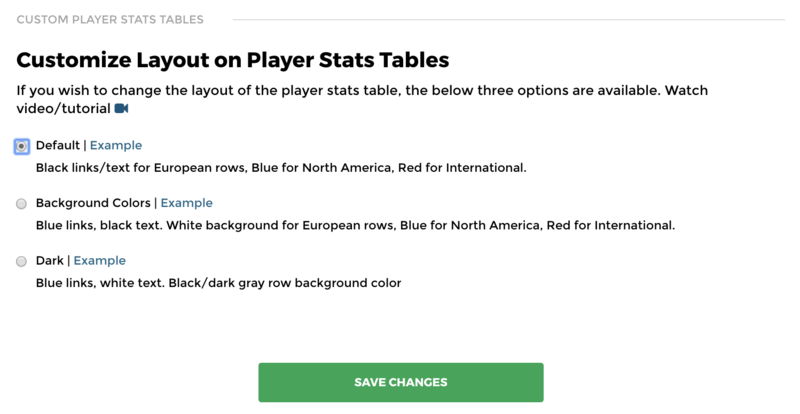 If you are not a fan of the standard color coding on the important player stats table, you can choose from three different layouts including a dark theme. 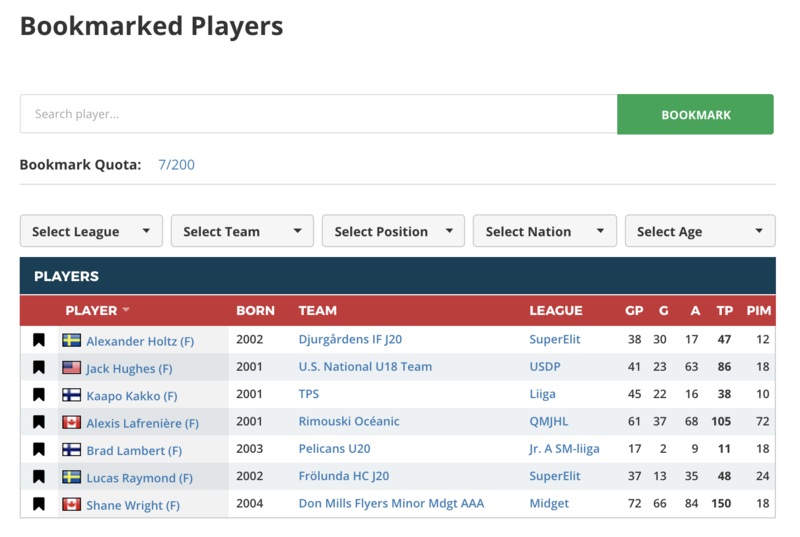 Our advanced player search is already quite powerful, but with EP Premium you can add addtional filters such as list players based on nation, international or league experience. 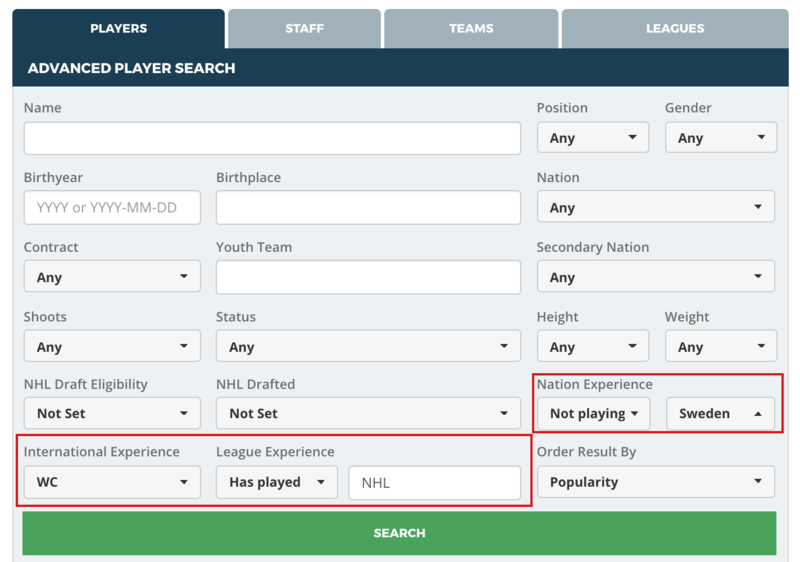 Build your own custom shortlist of players for scouting, fantasy or other purposes and follow their statistical progress throughout the season. Does your profile lack a photo? 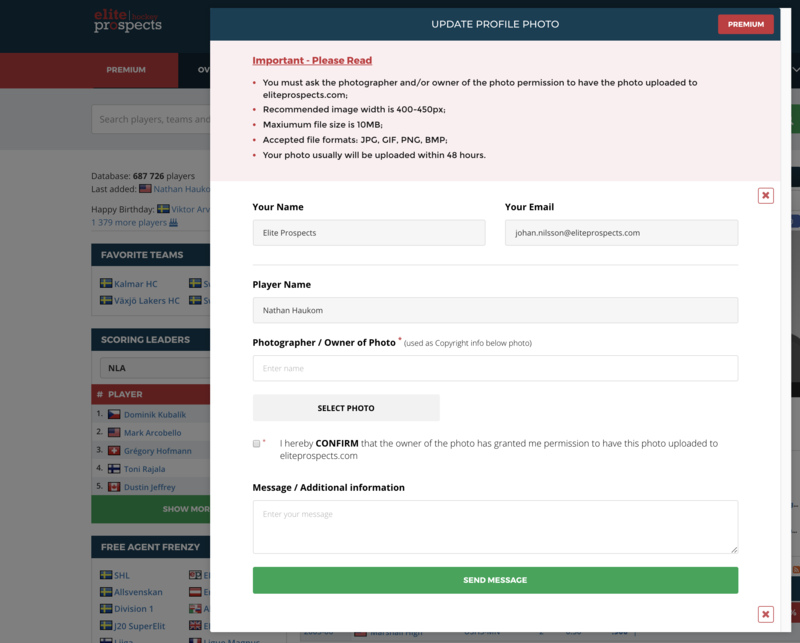 Submit a photo with ease using a web form and we will upload it within 48 hours. Just remember to obtain permission from the photographer/owner. With an EP Premium account all of our banners and ads scripts are disabled. This results in a faster and much cleaner website experience. 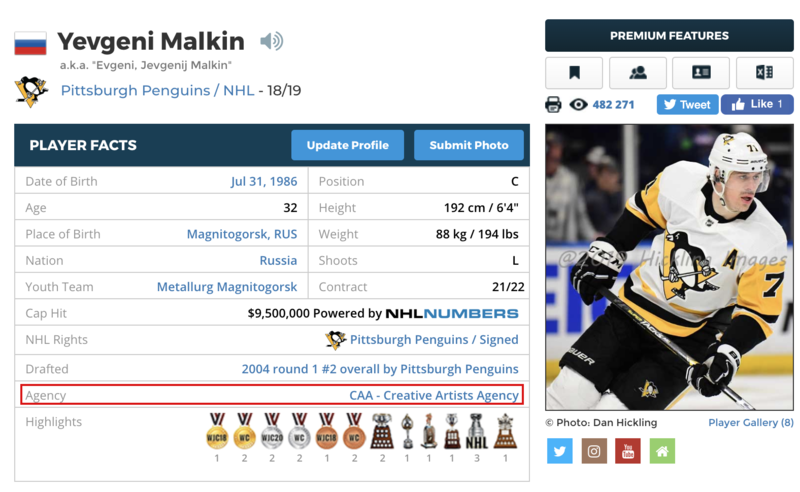 Our unique Free Agency lists are one of a kind. 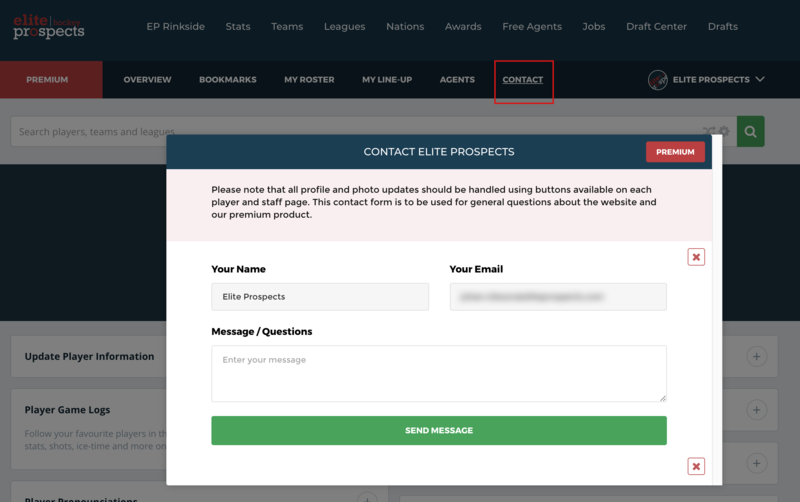 With EP Premium you can access complete free agency lists from the major leagues across the world. There's not a better tool out there for a GM. 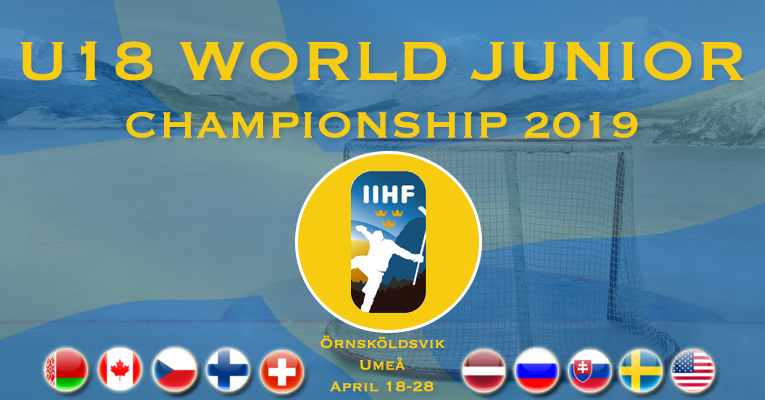 Always want to be updated on what's happening around the hockey world? 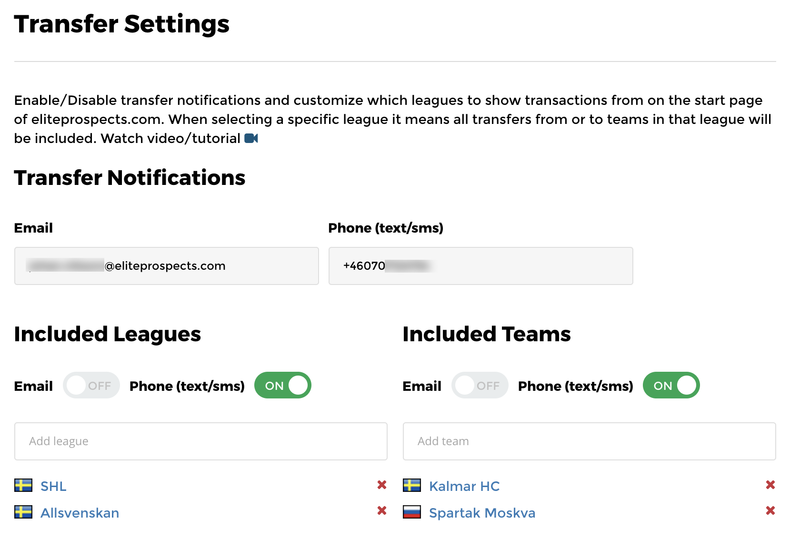 You can choose to receive notifications via email or text from your favourite leagues or teams. Active as a player or team staff? 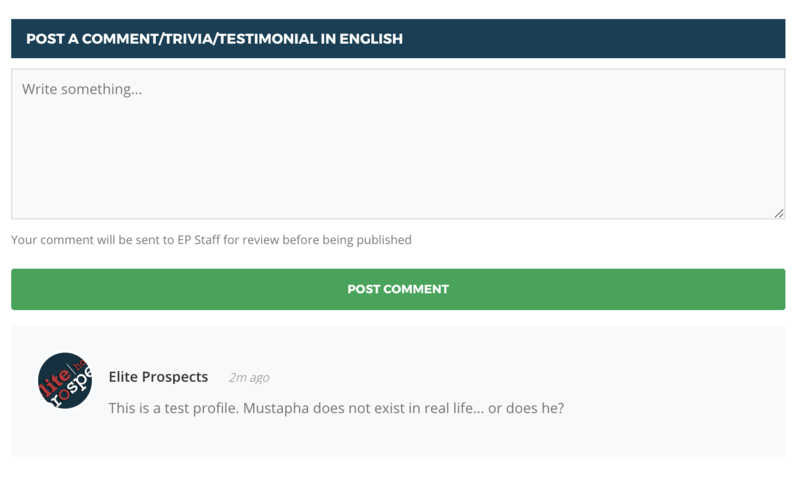 Verify your profile and allow other EP users to get in touch with you. Maybe you'll find your feature employee this way. Your email is not shared by us. 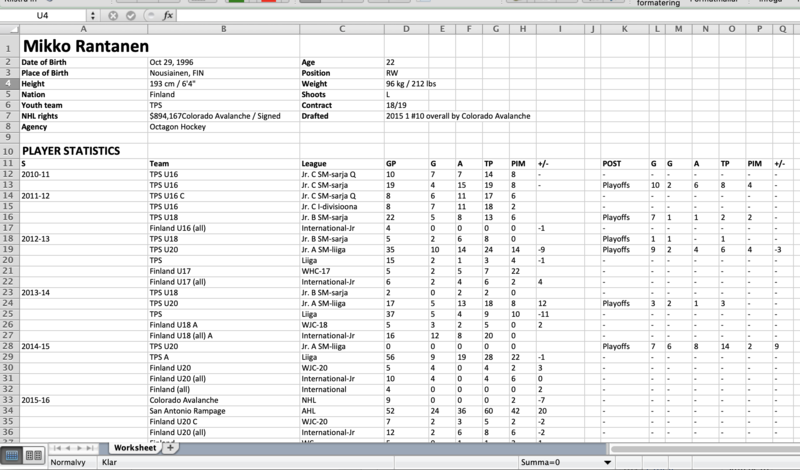 With EP Premium you are able export player profiles and stats to either PDF or Excel format. Many use our left menu for navigational purposes. 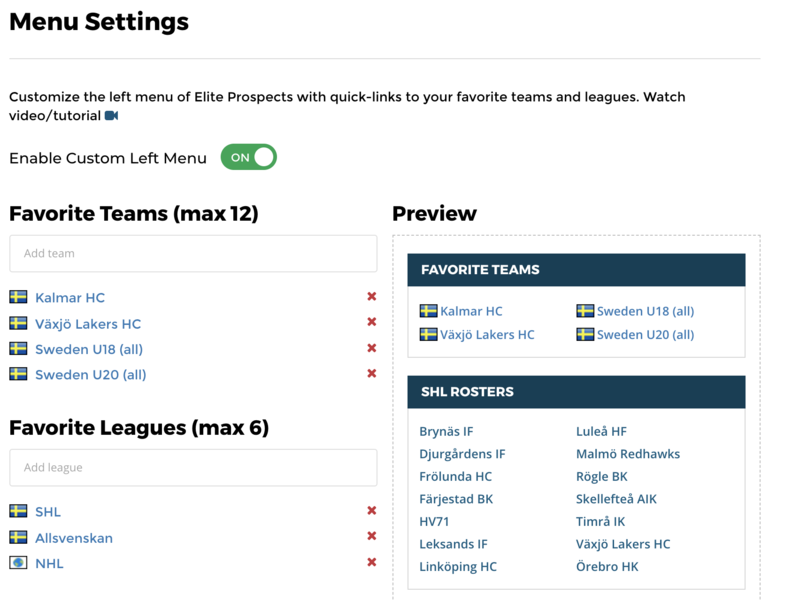 With EP Premium you can specify which teams and leagues that should be linked in the left menu. 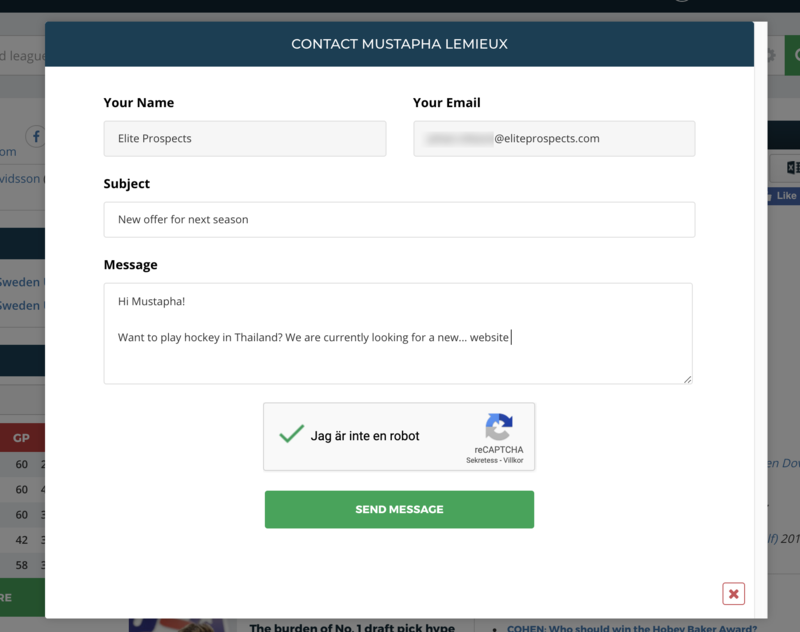 We post several thousand hockey transactions each month on our startpage. Many of these may not be of interest to you. 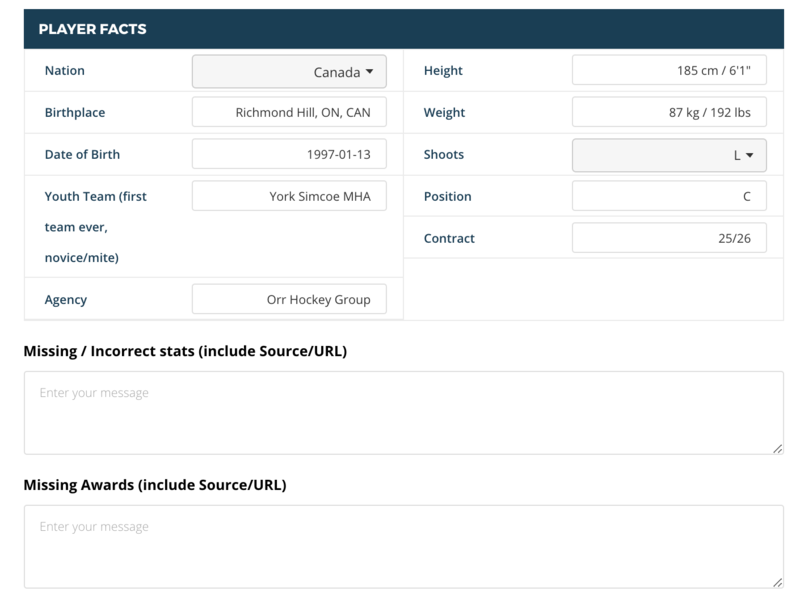 With EP Premium you can specify the exact leagues and teams to show transactions from. 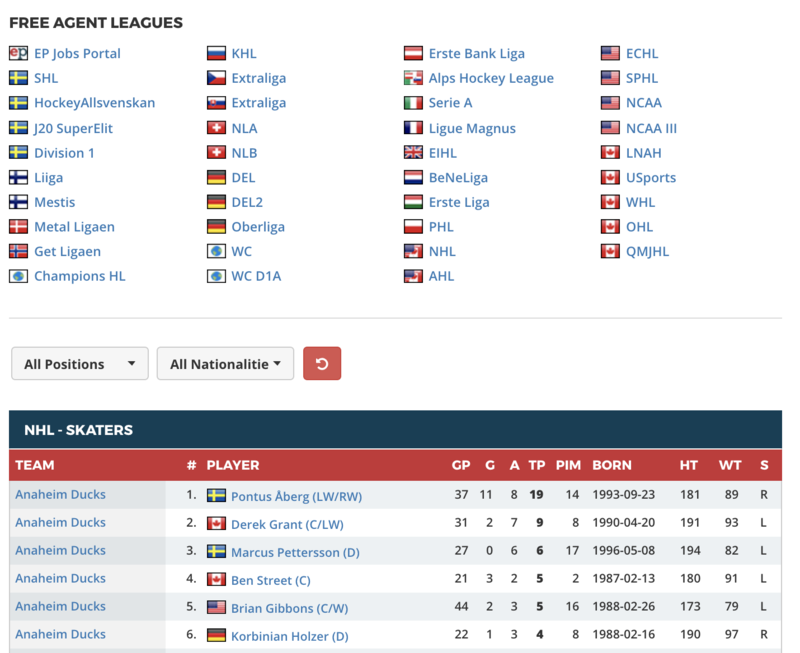 An optional view of the player stats table is available for Premium users. 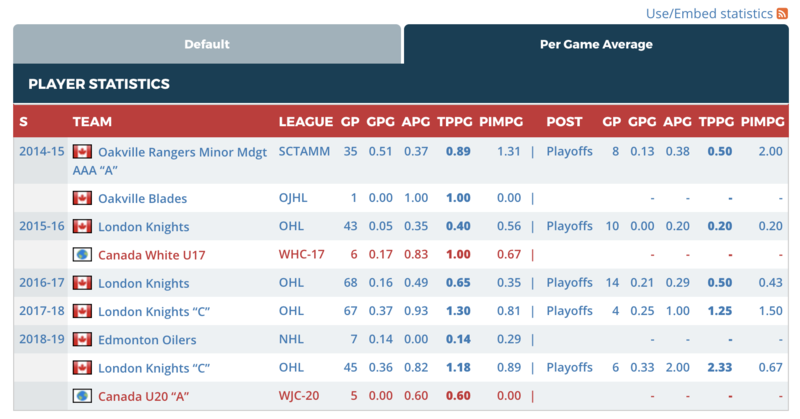 The per game average table allows you to view and compare a player's seasons on per game average. Our next Premium feature will be released in May, stay tuned!